size High 3.5 cm. Wigth 4 cm. 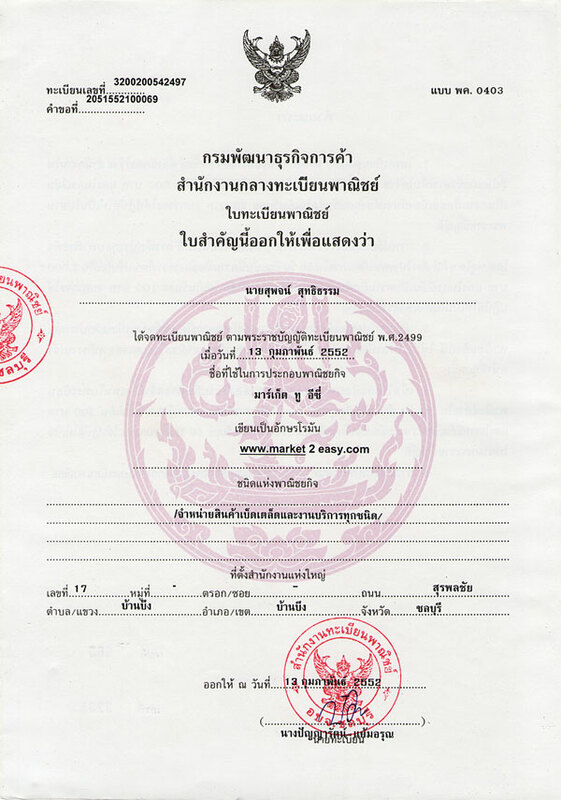 Long 5 cm. 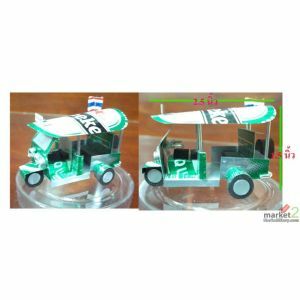 Thailand souvenir handmade recycle from pepsi cans. 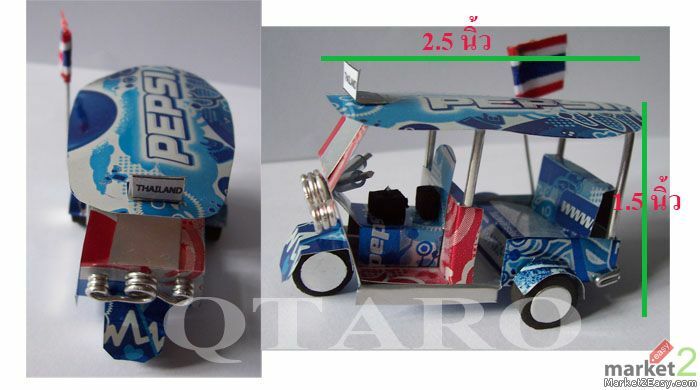 Car Tuk-Tuk made from pepsi cans. All made from hand. Perfect for the show in various place.